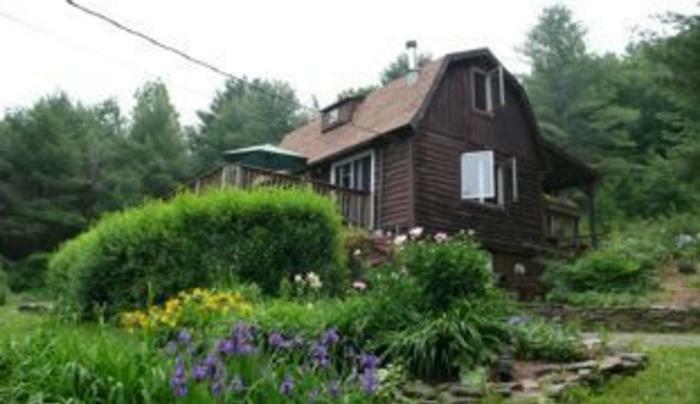 Cabin has a 6 person outdoor hot tub, 24 ft above-ground pool, secluded pond, and acres of beautiful mountain views. Satellite dish TV, satellite internet, and free phone calls to any of the 48 continental United States. Cabin can accommodate four people. During your rental there are no other activities or people on the property - you have all 30 acres to yourself. It is located 15 miles from both Windham and Hunter Mountain ski areas, as well as many other winter and summer attractions. 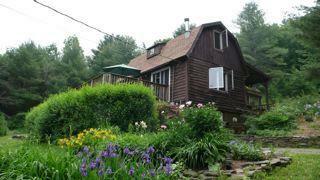 Fully winterized, the cabin has both wood burning stove and electric heat. A fully equipped kitchen area includes a microwave, large refrigerator, and gas stove. Pet friendly accommodation.